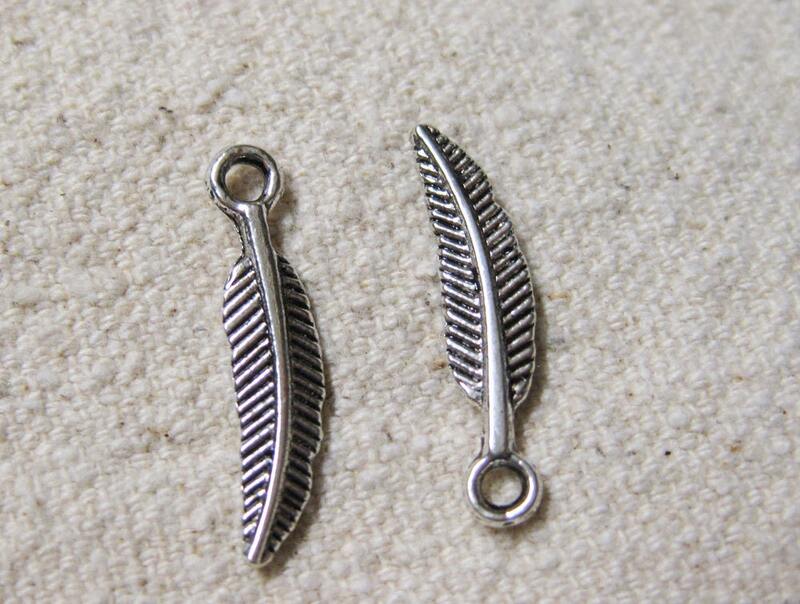 20 Feather charms, antique silver finished pewter zinc allow. 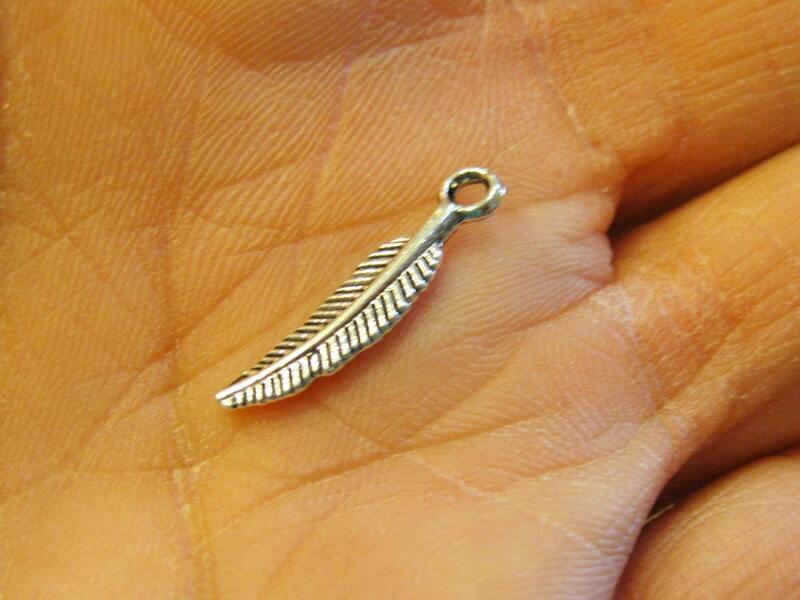 They measure 18mm x 5mm and are double-sided. 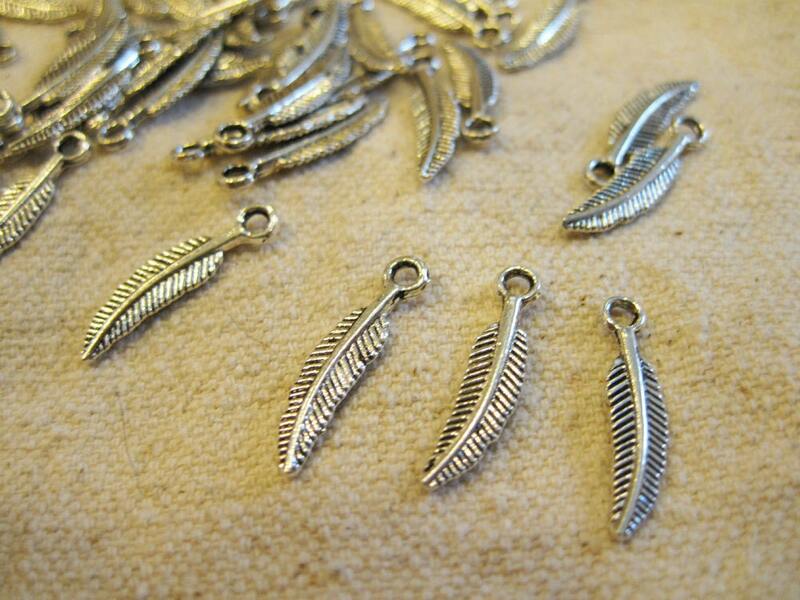 Feathers, who doesn't love feathers? Perfect. I'm very happy with this purchase experience.